See two breathtaking places in one day from Las Vegas! Visit two amazing canyons that showcase the unbelievable creations of natural erosion. 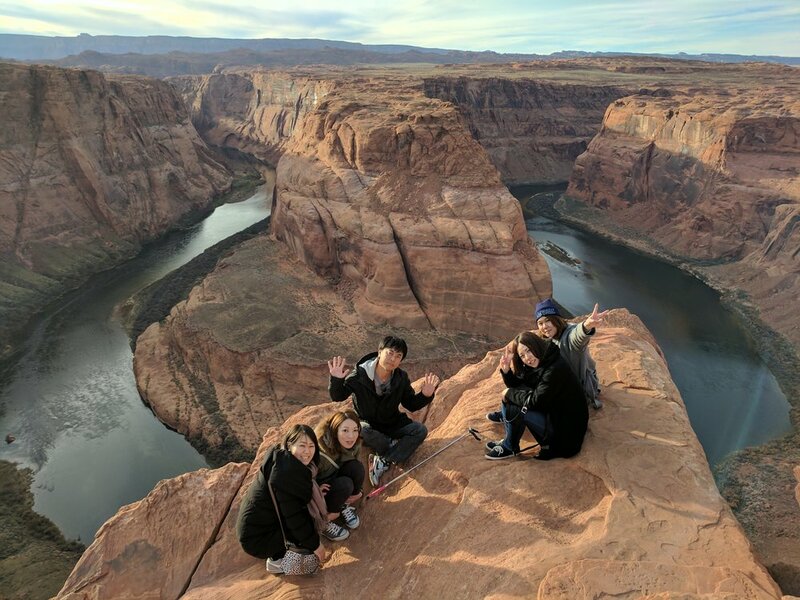 This tour travels from Las Vegas to Upper Antelope Canyon and Horseshoe Bend. By traveling with a small group you have more time to see these canyons while getting back at a reasonable hour. All of our tours feature great guides in comfortable 2017 model year or newer vehicles with leather seats and really good leg room. *This tour does require walking through raw desert so it is only recommended for the physically able. Horseshoe Bend requires a 1.5 mile hike in unpaved desert terrain. Lunch is included in the price and picked up from a restaurant (no prepacked lunches). Comfort stops for breakfast and dinner. Unlimited bottle water through out the day.